To provide a technology mediated leadership learning network and portal to improve the competence public health leaders and improve public health services and health outcomes. The Public Health Leadership Learning Network Portal (LLNP) is leveraging its partnership with 15 Regional Public Health Leadership Institutes to become a leading national capacity and capability to provide premium content and resources dedicated to improve public health leadership and management competence.. The partnership provides a breadth of best-in-class expertise, learning structure, curriculum content and tools mapped to competencies for public health leadership development. 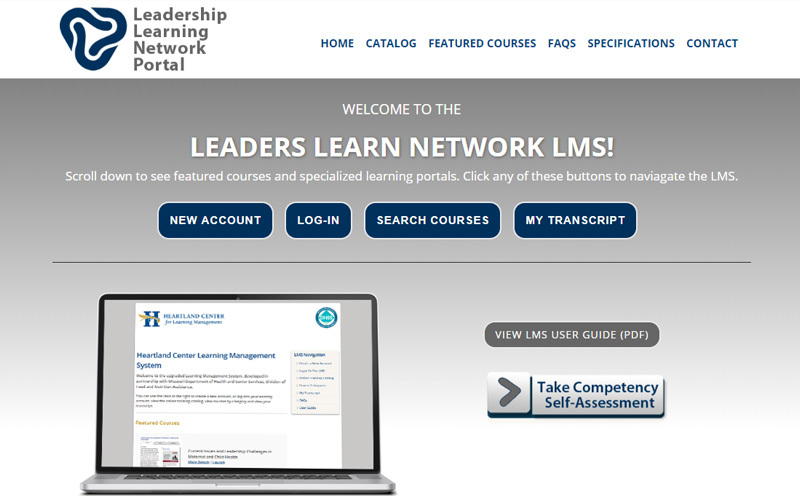 The LLNP, a one stop and single point of entry, will offer a needs-based browsable assessment, learning and resource portal, including over 600 leadership development courses and certificate programs and multiple multi-topic webinar series that facilitates self- and group-directed learning. 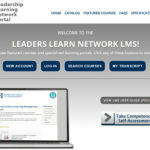 The LLNP will provide access to quality programs and resources from nationally reputable learning venues, as well as, tailored learning programs developed to meet assessed needs. This includes skill level-appropriate courseware, digital reference resources and books, job aids, featured webinar topic spotlights, and much more. 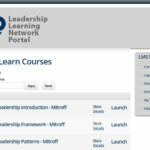 The learning portal’s clearly organized interface, intuitive navigation and powerful search capabilities ensure users will quickly accomplish their learning objectives. The quality content will feature a variety of interactive and mobile learning options from widely respected, authoritative sources. 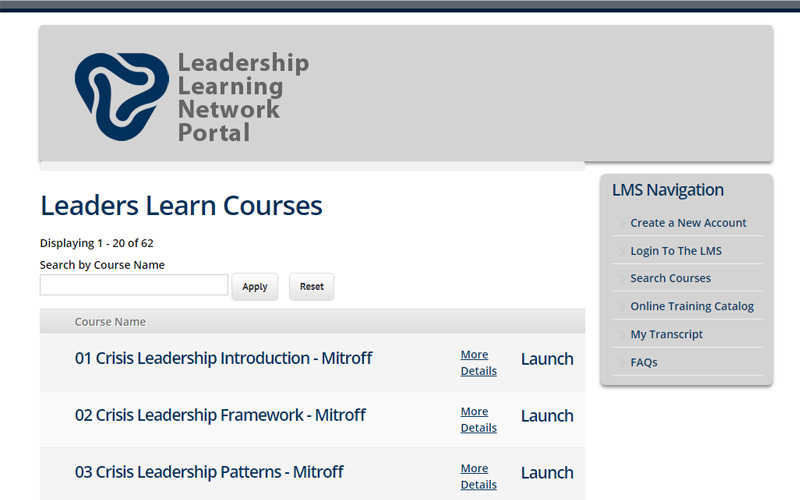 The E-learning tools and assets will be able to be used as-is or customized by leadership institutes and trainers to meet unique needs.